I apologise for the lack of posts lately; I’ve been busy with university work, my new job as Editorial Assistant at nzgirl and moving my blog! That’s right, dressed in pixie dust is moving. I’ve bought my domain name and I’m transferring to wordpress.org! The new address is dressedinpixiedust.com! Please update your blog reader. The blog is going to be staying pretty much the same, although there will be a few changes; the address is changing; the layout and graphics will be changing a little bit; and there will be more consistent posting! Please bear with me over the next wee while as I make all the changes. I really hope y’all will like the new site and please let me know what you think. 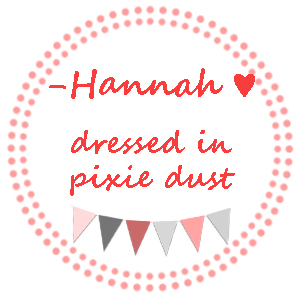 Don’t forget to add dressedinpixiedust.com to your blog reader! And tell your friends too. Over these last couple of weeks I have made a few changes in my life. As you may know I am a qualified Makeup Artist and it has always been my plan to pursue this as a career as I work towards graduation and becoming a PR/Media professional. After graduating from makeup school though I took a little bit of a break from makeup artistry. A couple of months ago I decided I really wanted to further pursue Makeup Artistry. I graduated from makeup school in April but hadn’t really done much makeup work since then. I had been working a part time job in retail and it was taking a lot of my time and not giving me much money. So I decided I wanted to quit my part time job and begin working as a Makeup Artist. I’m still at university studying communications but makeup is one of my greatest passions! And what better way to make some extra money through uni than pursuing my passion?! I have set up a website and a Facebook page and have begun working as a Makeup Artist! I am having such a great time running my business and being creative with my clients! If you’d like to make a booking then please contact me at info@hannahmerceanu.com – I’m located in Auckland, New Zealand. 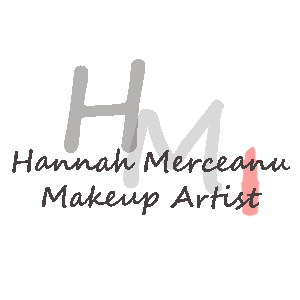 Aside from the fun of being a Makeup Artist I’m also really enjoying running hannahmerceanu.com– my self hosted website. Running a wordpress.org site is a little different to this wordpress.com site. It allows me to have a little more creativity. And I love having my own domain name! I’m currently contemplating moving this blog over to wordpress.org also. The problem I’m having though is whether to keep this blog name or not? I really love this name! And I haven’t had it long at all. I think it’s so cute and fun but it would be a lot simpler for me and my readers (I think) if I had my blog connected to hannahmerceanu.com What do y’all think? I’d love some advice! After all if I make these changes it will affect you my reader. Should I move over to wordpress.org? And should I keep dressedinpixiedust or should I connect my blog to hannahmerceanu.com? My two best friends are getting married later in the year and this past weekend we had their engagement shoot. They haven’t had a chance to see the photos yet so I’m just showing one sneak peek image and more will go up later on here, on facebook and on my soon to be launched website! How cute do they look?! These two have the most beautiful true love. They are so wonderful to each other and to others also. I truly admire and respect them and the love they have for each other and for life! I wish them so much happiness and I cannot wait for the wedding. I am so proud to be their bridesmaid! April’s makeup and styling is by me. I also photographed the images. I am by no means a photographer or an expert with cameras but I am quite pleased with how the images turned out! Who in your life has a relationship you admire? Although Independence Day is an American holiday we decided to celebrate it at the nzgirl/Flossie office. Our day was filled with red, white & blue, stars & stripes and of course American hot dogs! Happy July 4th to all who celebrate it!